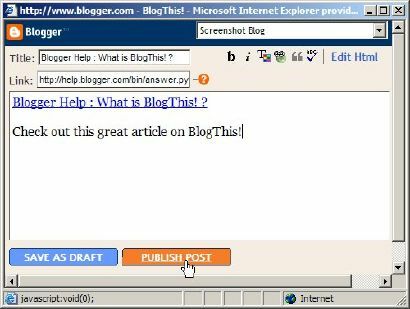 1) If you use Windows and Internet Explorer, you can use BlogThis! from the SendTo feature of the Google Toolbar. Get free information related to "You Should Know What is Blog This! in Blogger".